Hope For Paws received a call about a homeless dog who had been sitting outside of an apartment complex for days, alone and crying. 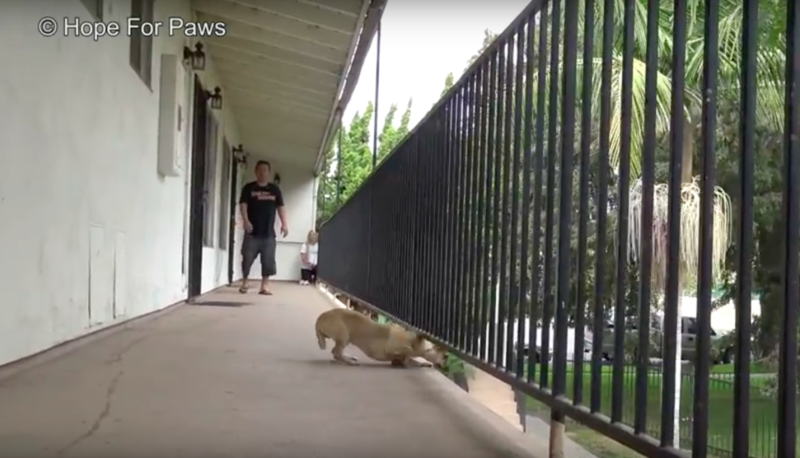 Rescuers arrived at the scene to help this poor pup, but as soon as she saw them come closer, she ran up the stairs to get away. They blocked off both stairway entrances to block her so she couldn’t escape. With nowhere to go, the nervous pup tried to slip through the bars and jump off the balcony! Rescuers backed away so she would stop and not get hurt. They tried to coax her down the stairs with some food, but she was understandably hesitant. Eventually, she reluctantly came down the stairs toward rescuers, but jumped off the side of the stairs, which thankfully wasn’t too high. She then ran off, but still stayed in the area. Rescuers realized that she was afraid of men, so one of the female rescuers, Loreta, led the rescue from there on out. Loreta sat on the ground and patiently waited with some pieces of cheeseburger. Finally, the dog came close enough to grab some out of her hand. He even let her pat her on the head a few times, but she was still noticeably scared. After nearly an hour, Loreta finally gained the pup’s trust and was able to grab her and get the leash on her. She cried out with fear but soon calmed down when she realized that she was helping her, not hurting her. 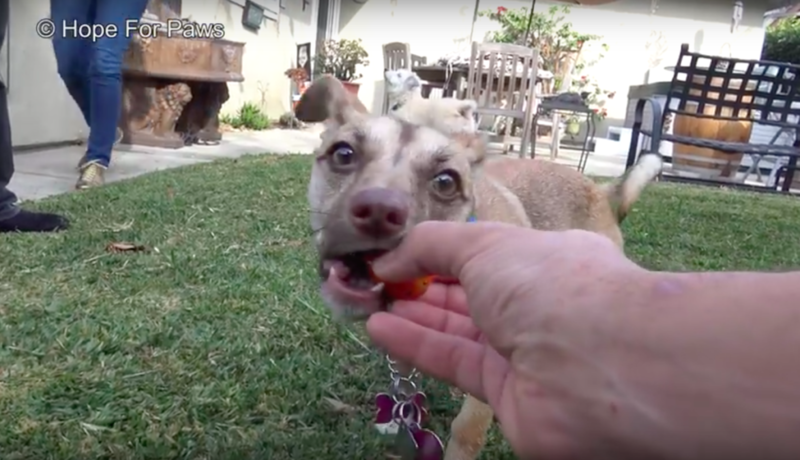 For the first time, this terrified little dog finally felt safe. They got her in the car and brought her to the hospital. On the way there, they decided to name her Saigon. She was checked over and given a clean bill of health. 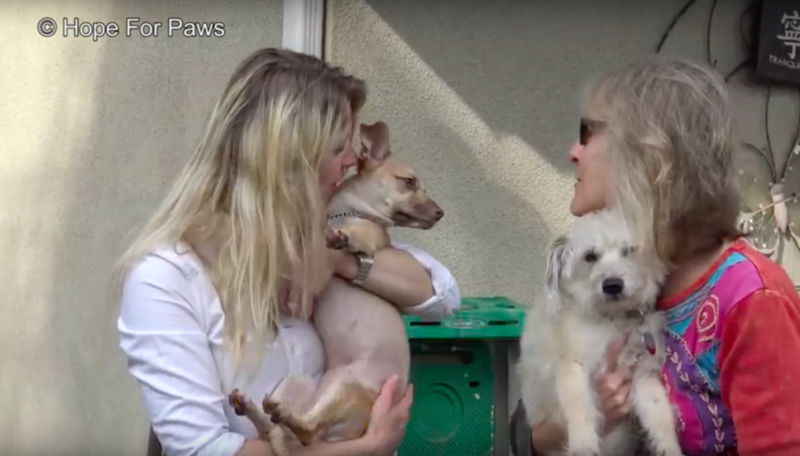 Soon after, Cause For SB Paws found her a loving forever home! Saigon is loving her new life and has a big backyard that she enjoys running around and playing in. 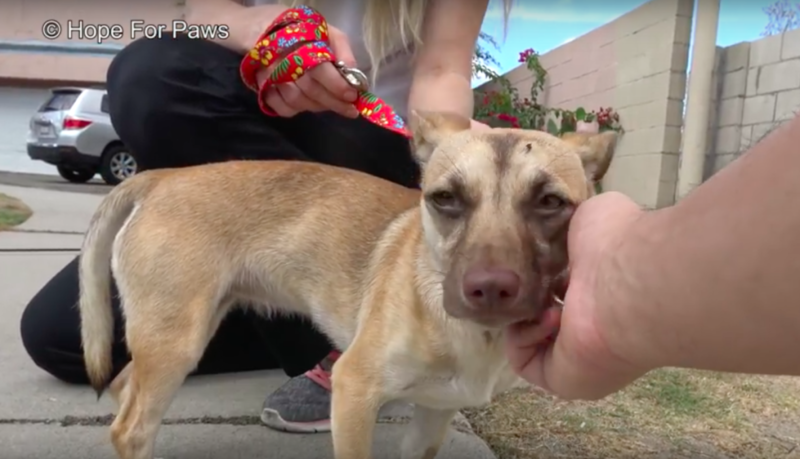 Thanks to Hope For Paws for saving this pup’s life and getting her off the scary streets!